Movers in Burlington & Milton | Appleby Moving & Storage Ltd.
Make the move to your new apartment or house a smooth one with the help of our movers. Call us today and receive a free quote. No need to break a sweat. We take care of your move from beginning to end. We've got the supplies you need to pack up your valuables in the Burlington area. We're fully insured movers, capable of transporting your belongings to any location. We believe moving should be effortless and that all you have to do is make your next home feel like home. At Appleby Moving and Storage Ltd., our movers in Burlington, Milton, and Oakville are part of a highly qualified, professional moving team who are eager to help you with the countless details surrounding your upcoming move. 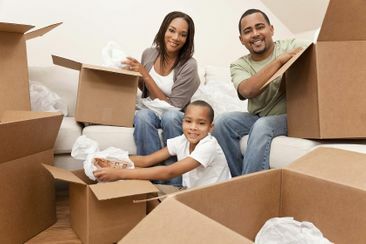 Our agency offers full moving services including packing and relocating. For customers looking to store their household items between moves, we have a safe and secure environment in our storage facilities. Our goal is not only to meet your expectations but to exceed them. There are numerous reasons to contact our movers in Milton. 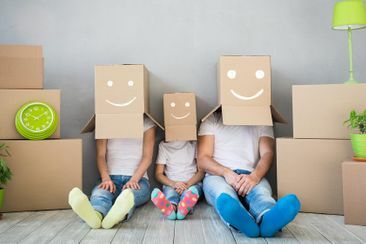 Moving often coincides with the milestones in one's life: Your first year as newlyweds; your first baby; your first big promotion; your first job transfer; or those first carefree months as a retiree. No matter whether you’re moving to your first home or a bigger home, moving across the country, the continent or overseas, or downsizing, you can feel confident that you'll receive the first-class care, attention and personal service that the movers of Appleby Moving & Storage Ltd. are renowned for. As you move through life, let our movers for Milton, Oakville and Burlington do all the heavy lifting. At Appleby Moving & Storage, we’re dedicated to making it as simple and problem-free as we can, and our movers in Oakville, Milton, and Burlington will work tirelessly to ensure things are running smoothly the whole way. We’ll handle everything from carefully packing your delicate china to shipping your car for overseas moves. Trust us to handle all your moving needs. Give us a call for a quote, or consultation. In the meantime, you can also check out our Facebook page for up-to-the-minute updates. Planning your first big move and not sure where to begin? See our moving checklist and planner to help with your moves. A storage unit can be a cost-effective solution to dealing with clutter during any major transition in your life, from renovating your home to moving to a new one. Storing your items allows you to keep them safe until you’re ready to move them, relieving some of the stress move-in days can cause. Why worry about moving all of your furniture at once, when you can do it at your own pace? 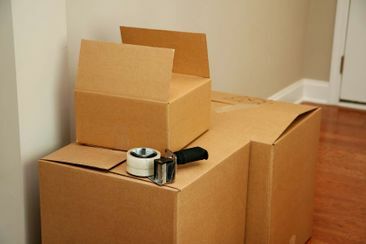 In addition to being your movers for Oakville, Burlington and surrounding areas, Appleby Moving & Storage Ltd. also has storage units for rent for when you’re in a pinch for space and time. You will find the right size and rental duration, as well as climate controlled units, at our secure storage facility in Burlington. If your answer to any of these questions is yes, a storage unit may be right for you. Need extra space for furniture and clutter in order to stage your home to sell it? Stuck in between leaving one house or apartment to moving into another? Are you or a parent downsizing but want to keep extra but valued possessions? Need a clean storage environment during a home renovation or restoration? Does your packing process take weeks or months and require complex planning? Give us a call to discuss renting a storage unit that meets your needs and budget.